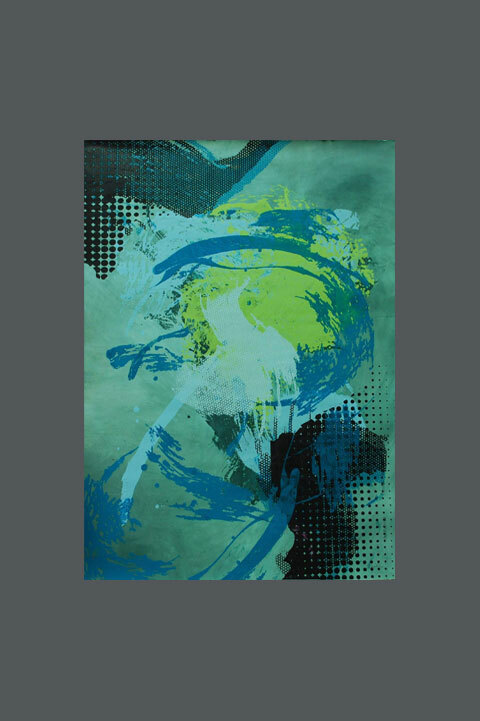 42" x 30" yellow and pale blue gray. 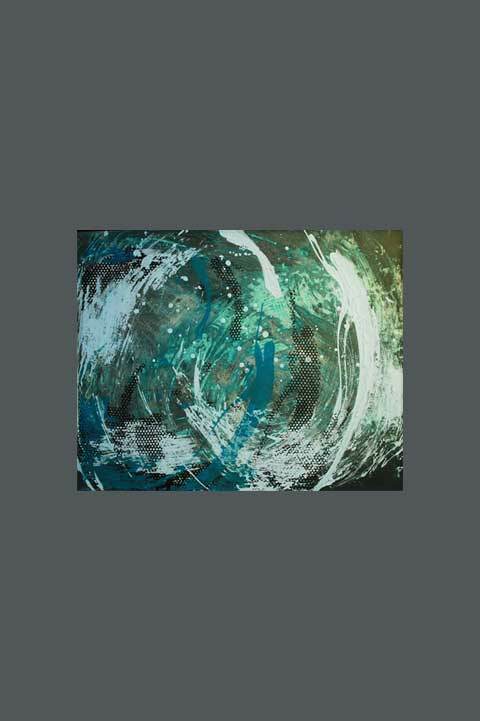 Mounted on board. 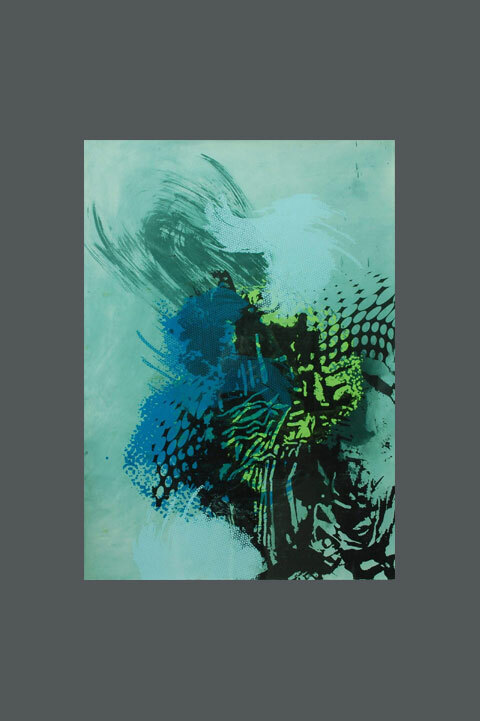 42" x 30" rich blue green and pale yellow, mounted on board with spacers and Plexiglas. 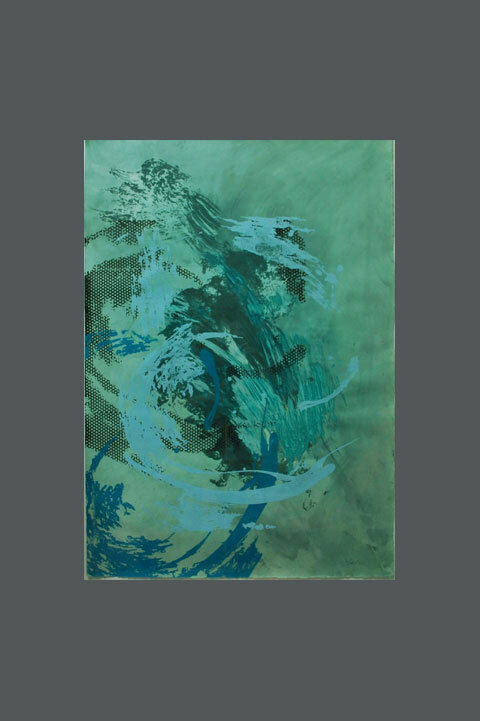 42" x 30" pale blue and gray green, framed and mounted on board. 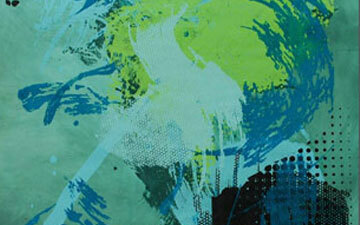 42" x 30" pale blue on grey green, framed and mounted on board. 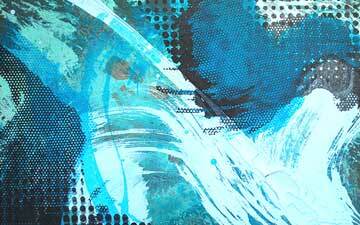 42" x 30" red, black and pale blue, mounted on board behind spacers and Plexiglass. 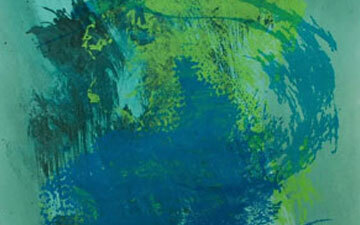 42" x 30", yellow, rich blue green and black, mounted on board behind spacers and Plexiglass. 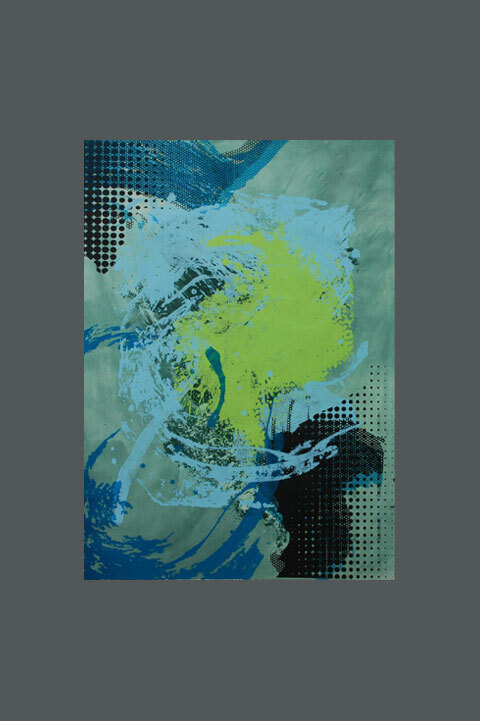 42" x 30", yellow blue pale blue on a gray green background, unframed. 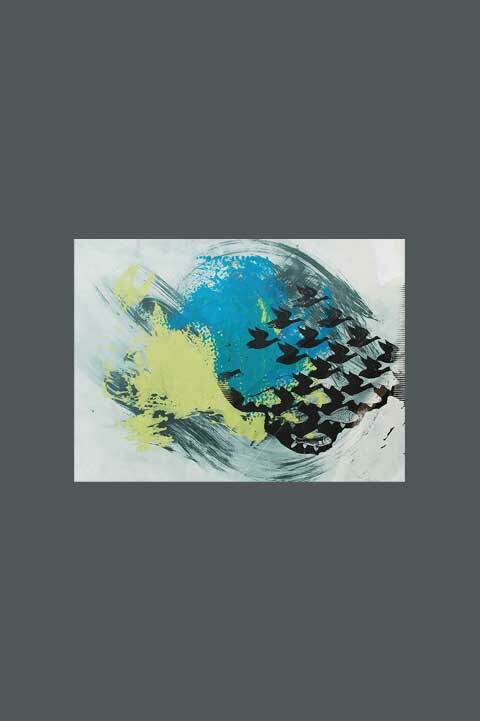 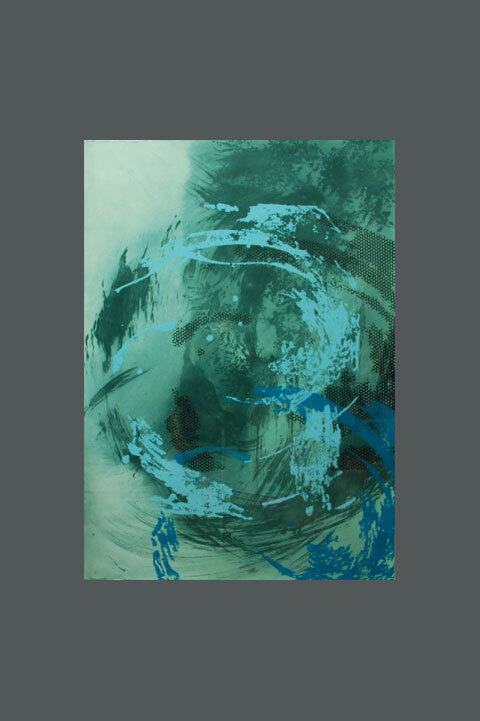 42" x 30", pale blue gray, black and rich blue green against a gray green background, unframed. 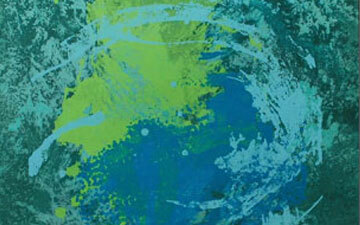 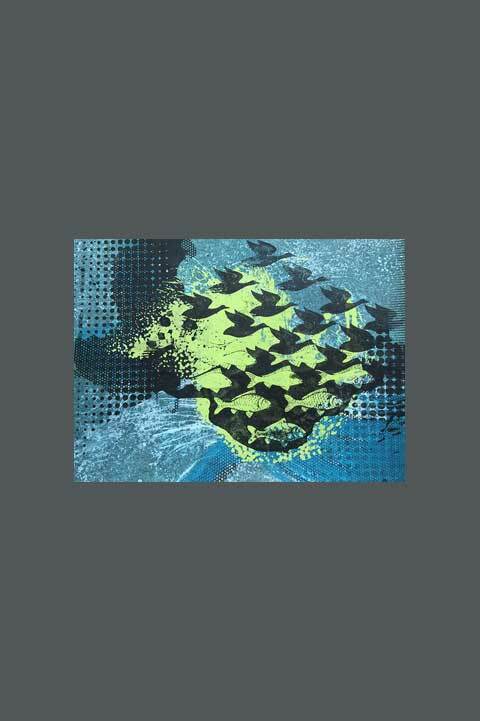 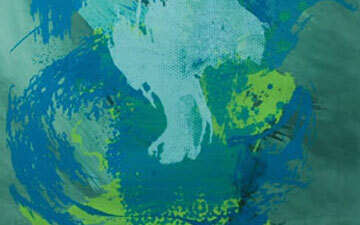 42" x 30", bright blue green, yellow and white against a pale gray green background, unframed. 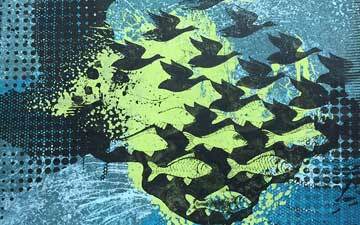 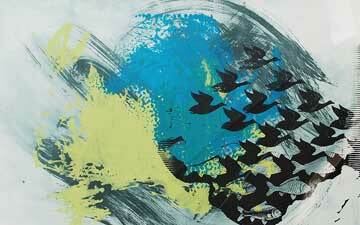 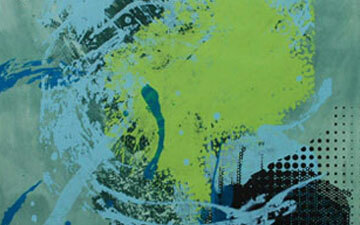 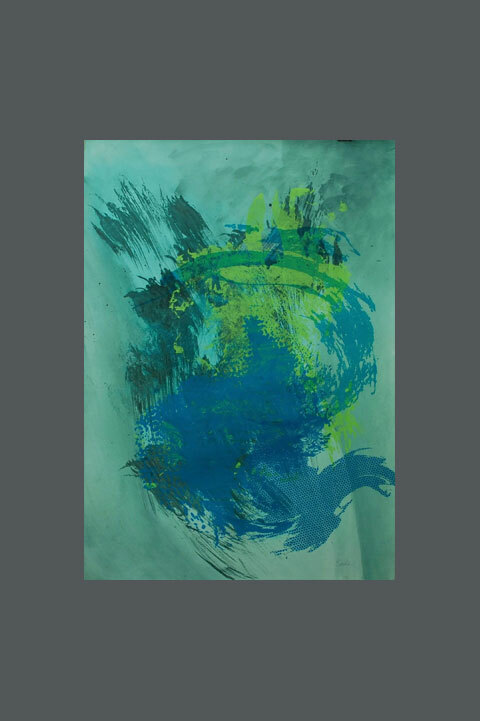 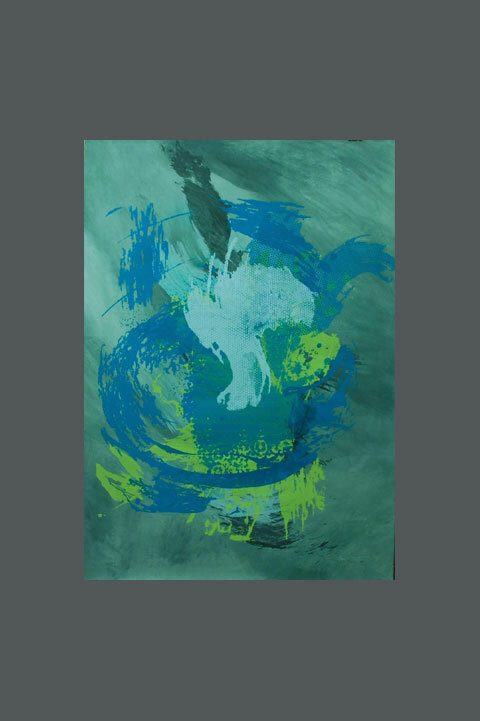 42" x 30", bright blue green and yellow against a pale gray green background, unframed. 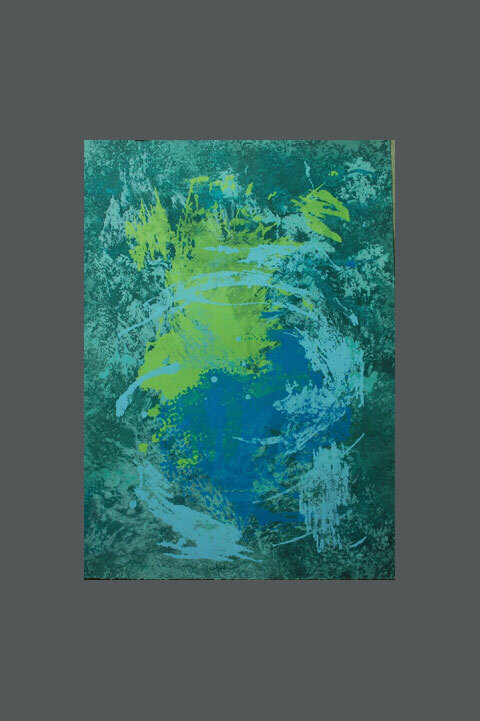 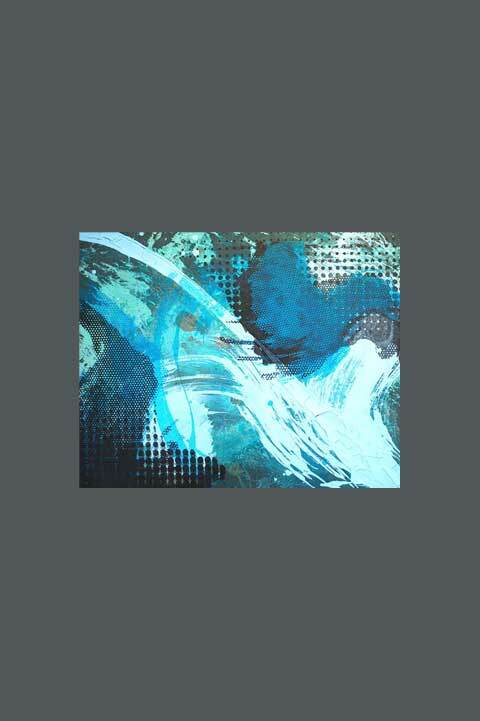 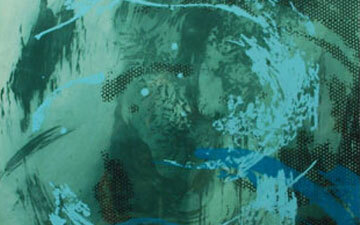 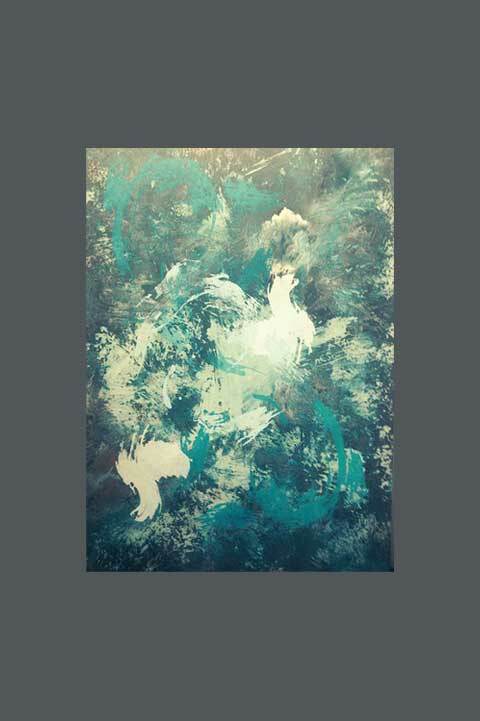 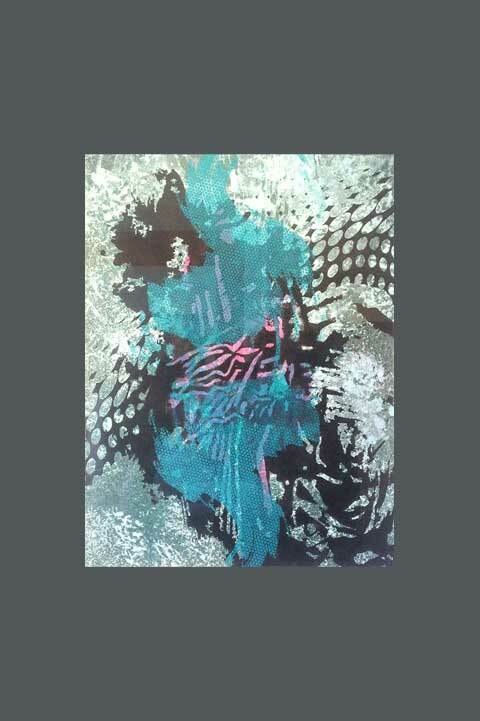 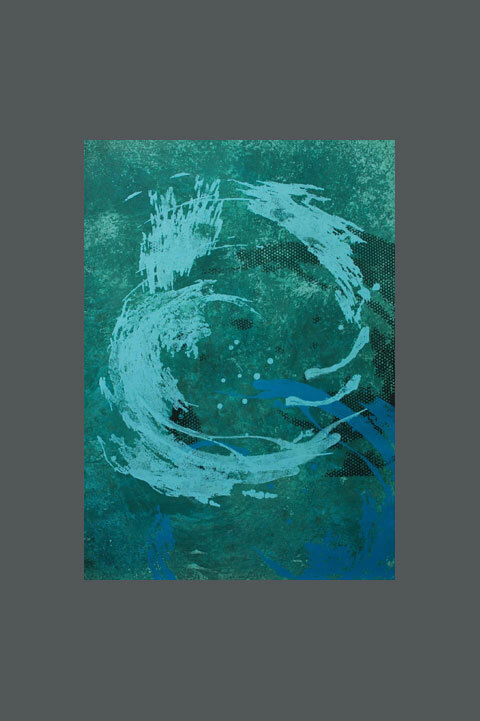 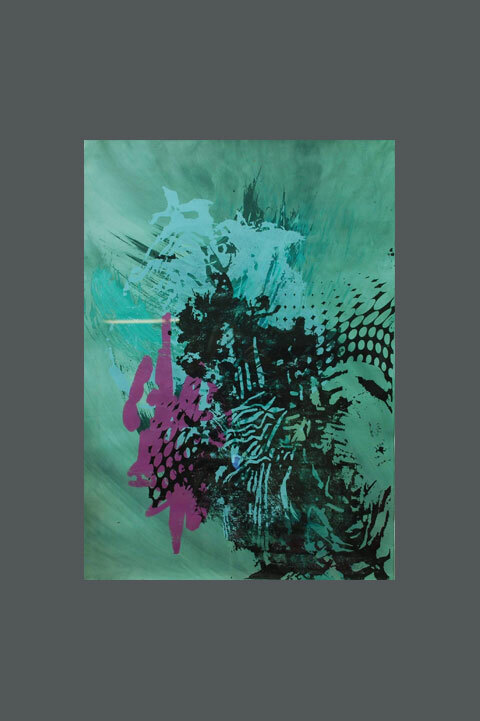 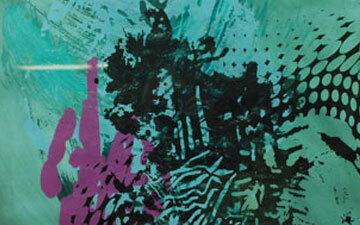 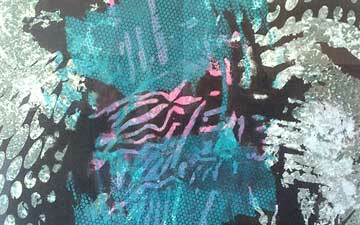 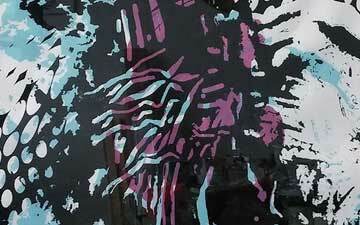 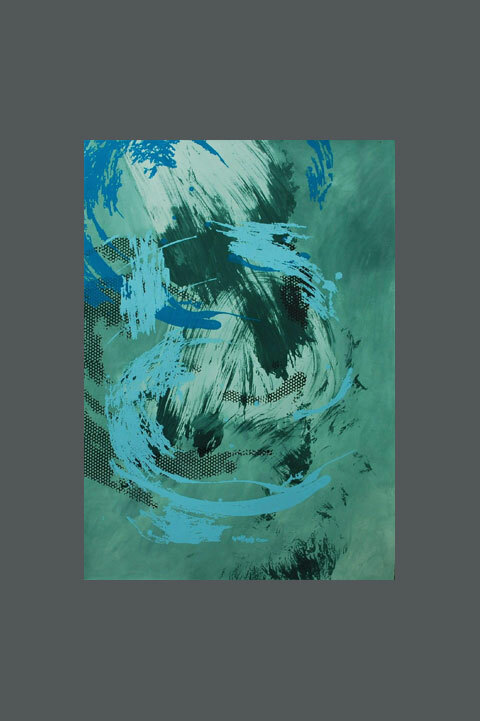 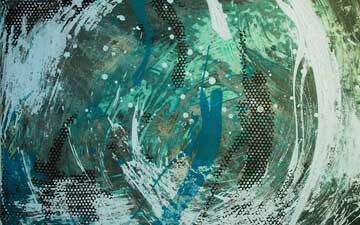 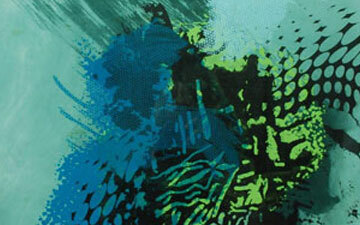 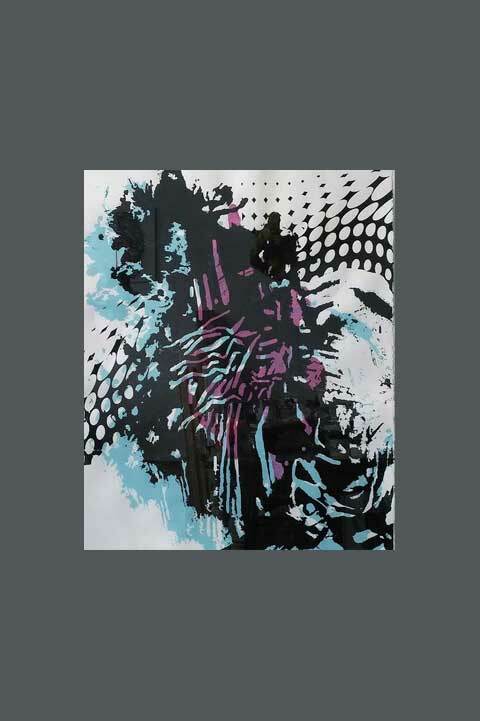 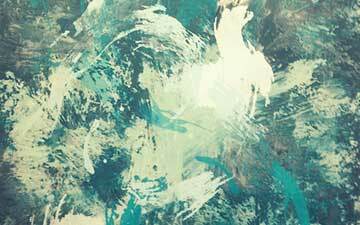 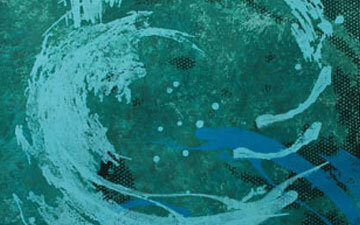 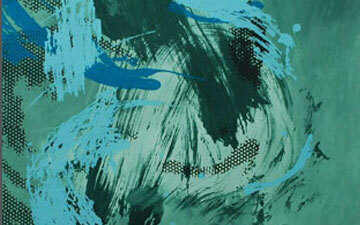 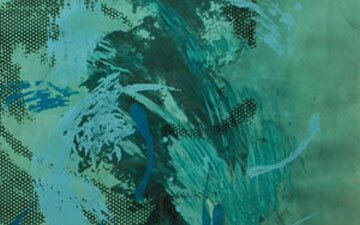 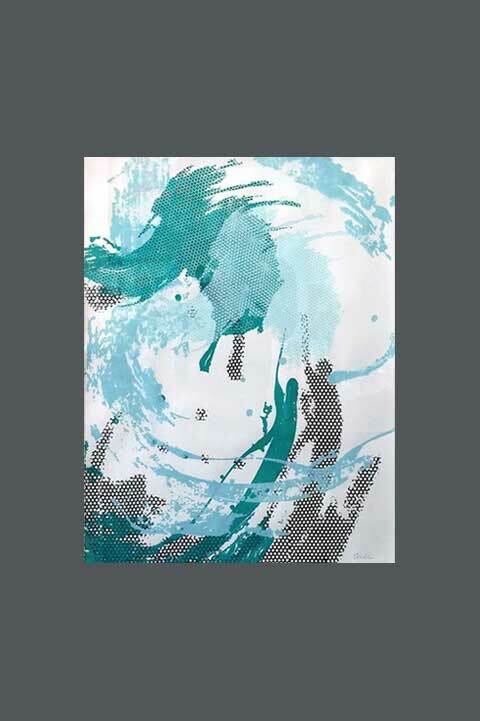 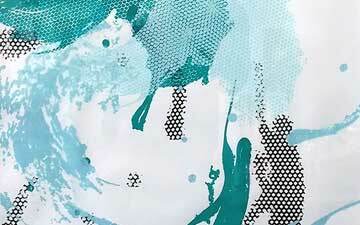 42" x 30"' bright blue green, pale blue white, dark green and black against a gray green background, unframed.